Developing young women into international leaders has always been one of the primary goals of Taiwan YWCA. 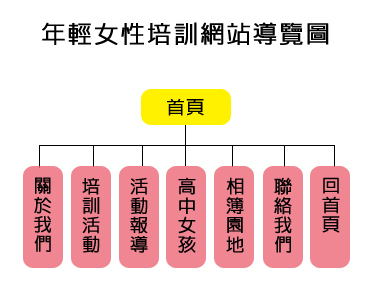 Following this mission, the YWCA of Taiwan constructed an educational program to help scores of young Taiwanese women uncover their potentials as future participants and leaders in the international arena. In existence since 1999, this program provides young women with all the skills necessary to become assets for future advocacy efforts. At the same time it also instills in the participants the desire to address pressing contemporary issues. Since its establishment this program has empowered and inspired 1,000 young women in five separate sessions. The curriculum includes bringing in experts from the fields of economics, sociology, political science and law to share their knowledge and experience. Although the program encourages studies of international theories and concepts, it also acknowledges the importance of hands-on activity, conducting simulations of international conferences. The efforts of the YWCA of Taiwan have yielded wonderful results. Through education the YWCA of Taiwan has helped to empower these young women and broaden their range of opportunities for involvement in global affairs. 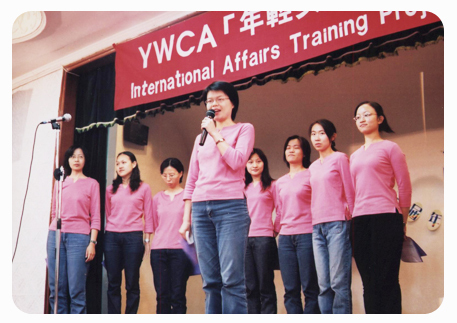 The betterment of the local and international community is an objective of Taipei YWCA. Through enjoyable programming and faith in young Taiwanese women, the YWCA of Taipei constantly strives to train the next generation of leaders in order to enhance the women's movement now and in the future.